In recognition that November is National Hospice and Palliative Care Month, we are proud to bring you a series of guest columns from Pamela D. Willson, who is an advocate for family and professional caregivers. 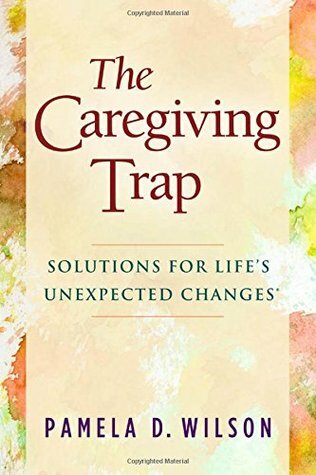 This post is an excerpt from Pamela’s new book The Caregiving Trap: Solutions for Life’s Unexpected Changes. 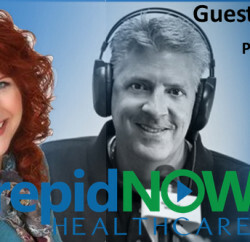 Check back next week for our interview with Pamela. 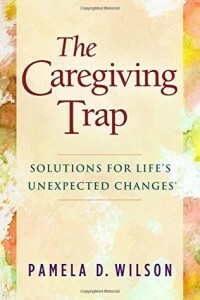 Subjects exist in caregiving that are more difficult to discuss than others. These include the ever popular subject of money, health (especially when one has not taken good care of his or her health), moving to a care community, and the ability to continue driving a car. The subject of driving is perhaps the “hottest potato” of all as for older adults the ability to drive equals independence. Few older adults, regardless of the number of car accidents or the frequency of becoming lost while driving, refuse to acknowledge that it may be time to give up the car keys. When you are driving, you see them—the cars in the slow lane driving well below the speed limit or cars weaving to the left and right within the stripes of a single lane. While statistics show that teenage drivers represent a greater risk than older drivers, risks still exist for older drivers with physical disabilities and cognitive impairment. Giving up the car keys is often viewed as giving up the last remaining bit of independence for older adults. This presents a picture of what might happen when an older adult with multiple health conditions or a diagnosis of dementia continues to drive a motor vehicle. Very different from the humorous and heartfelt movie Driving Miss Daisy older adults who choose not to give up the car keys have the potential of seriously harming themselves, other drivers, or pedestrians. While some older adults willingly give up the keys, others, even after multiple car accidents, refuse saying, “I’ve been driving since I was a teenager.” Lacking is the insight to realize that driving skills and physical and cognitive abilities change and decline over time. Older adults also fail to consider, like George Weller, that they may injure innocent people. Many individuals continue to drive after a diagnosis of memory impairment. This is dangerous ground, especially if an accident occurs and medical records document a diagnosis of memory loss. Defending the accident at this point becomes a non-issue. One simply cannot dispute injuring another individual when one should not be operating a motor vehicle due to a diagnosis that effects executive functioning and reflexes. Driving with memory loss is similar to driving drunk. The driver may get lucky and never experience an accident, or one day an accident happens that injures other people and changes lives forever. How many people diagnosed with memory loss are willing to take that risk? Quite a few—because they are in denial than anything unfortunate will ever occur. In situations where cognitive impairment exists, like a diagnosis of Alzheimer’s disease, specialized driving tests exist to test reflexes, memory and physical abilities related to the operation of a vehicle to determine whether a person is safe to drive. These tests are not administered by the DMV—who in my experience feel bad if they fail to renew the license of an older adult—but by special driving programs through the occupational departments of medical clinics and other health organizations. When in question, begin by asking your physician to initiate cognitive testing or to make a referral to one of the specialized driving courses in your area. While your parent may resist, this is a wise course of action to prevent accidental injury or financial loss due to negligent driving. But how do family members hold discussions about ending driving or about taking away the keys? What supports exist? Again, there is benefit to sequential consequences and a Plan A that involves testing and a Plan B that offers options for transportation. I have older adults who agree to let their children take away the keys and then do their best to make their children miserable by way of daily phone calls for transportation. Why blame the children—because assigning blame to a scapegoat is easier than accepting the reality of a diagnosis that, among other things, robs one of the ability to drive. [i] John Spano, “Trial in Market Crash Set to Begin,” Los Angeles Times, 9/4/2006. Check back next week for our interview with Pamela!! !